So, it’s been more than a month since the new iPhone released during the Apple’s Keynote event on September 12, 2018. And without any doubt, the highlight has been the most ‘elder version’ that is the iPhone XS Max. There were two other models too, being launched, but here I am just going to talk about ‘the bigger’ one. There have been many reviews and opinions about this flagship, which you might have read or seen online, but here it will be a more detailed discussion and analytic affair about this latest premium device from Apple. 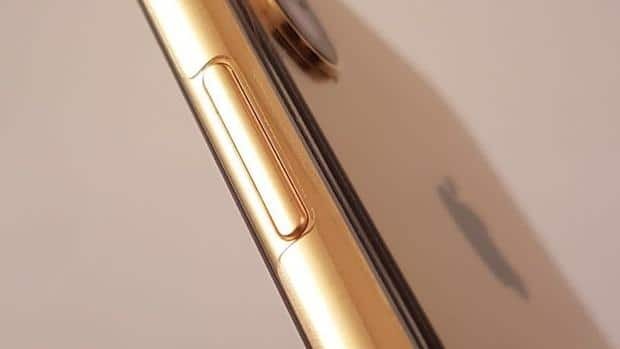 The biggest improvisation that Apple probably did with the XS Max is the on protection quotient. It’s now officially IP68 water resistant and splash resistant, so no worries for your rainy days if you happen to be out of the house. And yes, it’s also dust resistant too. Other things include a fantastic finish which just looks so exceptionally beautiful (it just beats the Note 9 here, which I praised earlier in a review for that Samsung device). Yes, there is no home button which has become a thing of the past now, even with the new iPad, so no comments regarding that. 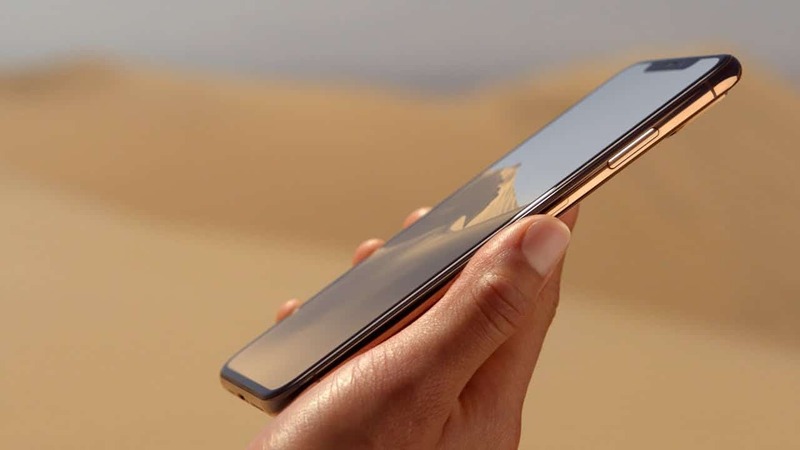 But despite that, the XS Max doesn’t stop looking stylish and gorgeous. Why? Just look at that near-all-screen display. I have to say it officially now, that many other competitors try and even come out with an all-screen design with their phones, but the way Apple implements it is commendable-hands down. You have to give that point to the company for what it does on the design aspect. Seriously excellent. Still, some downsides are also there and the first one is the omission of 3.5mm audio jack, which has already been left out by Apple but its absence feels just so evident considering the fact that Apple hasn’t provided any 3.5mm audio adapter also! That feels really weird for a company as huge as the Californian tech giant. You just can’t do to your customers like that, that you force them to manage everything by themselves. At least you should have provided the necessary things. The 3.5mm dongle was there till last year, but now that too is gone with the wind! In the box, you get the phone (obviously) with iOS 12, a USB power adapter, EarPods with Lightning Connector, Lightning to USB cable, and some documentation. Moving further, there is one positive that Apple finally added to the iPhone legacy which is the support for dual-SIM. Though it basically goes by the name of e-SIM, but thanks to heavens that you can now run two separate numbers on your iPhone. Other things in the design appear to be similar to last year’s iPhone X. Like the volume rockers, power on/off button, and the switch for putting the phone on silent or on ringing modes. Speakers present on the phone are stereo, with one on the top microphone and other being on the bottom. Coming on to the display part then, the iPhone XS Max possesses the biggest display among its own predecessors-and also some other flagships in competition-with a 6.5inch Super Retina HD OLED screen, with a resolution of 2688x1242p. The pixel density is 458 PPI. With that, the fantastic looking display also has True Tone, wide color (P3), 3D Touch, and fingerprint-resistant oleophobic coating. The screen looks awesome from any angle, no doubt and Apple has nailed it here, to make it one of the best-looking displays out there in a premium device. And now, the thing which truly makes this iPhone a flagship beast, it’s the latest processor which is Apple’s own chipset. The 7nm architecture based A12 bionic chip kills it in terms of performance, smoothness, ultrafast gaming, daily tasks or any other thing you throw at it. As Apple itself put it on its website, that it’s ‘the smartest, most powerful chip in a smartphone’. The chip with the next generation neural engine gives a stellar and breathtaking performance. There are two cores (now 15% faster than A11) for performance, while other four efficiency cores (using 50% lower power than A11) are for daily tasks. So, all-in-all, the hexa-core architecture works brilliantly whenever a boost is needed. To complement the A12 chip, there is the Apple-designed four-core GPU, which needs no explanation. The latest graphics performance is 50% extra faster than the A11 chip. And the neural engine does incredibly well, with a might of performing about 5 trillion operations per second. AR (augmented reality) based functions become fun to do and no matter what, this phone knocks it out-of-the-park when it comes to any kind of gaming experience. The performance also gets boots with the help of an increased 4GB of RAM, with options of varied internal storage. The XS Max comes in three models of 64GB, 256GB and a newly introduced capacity of 512GB of internal storage. And it’s also because the iPhone doesn’t come with a microSD card slot. Just don’t hope for it in any future iPhone too. Apple’s not going to do it, trust me. The battery capacity has been slightly enhanced now, but the issues are still there with many users (if not everyone) complaining about the durability of the XS Max’s all-day life. For better insight, you can read my detailed iPhone XS Max battery review/performance article here. More: TOP PS4 Games of 2018 you just can’t miss! There won’t be any hesitation to say that the rear-cameras of the latest iPhone XS Max are really amazing when it comes to giving detailed pictures and quality images. And a newly added Smart HDR function is a king, again hands down. Even the Google’s Pixel 3 can’t compete with the dual-rear setup of the XS Max. Though, the front dual-cameras on the Pixel 3 & 3XL definitely dominate the XS Max’s front lens, but it becomes a totally different affair coming onto the back cameras. Specifically speaking of the camera details, then there are two lens on the back with both being 12MP+12MP. One is wide-angle (f/1.8 aperture) while the other is a telephoto lens (f/2.4 aperture). The extra optical lens really does wonders for the photos as it makes it easier to capture more zoomed-in snaps. The dual-camera is capable of 2x optical zoom and also digital zoom up to 10x. Another feature which some rival phones are already having is now on the iPhone too. You can now adjust the bokeh intensity on your iPhone even after taking a portrait shot! In simple words it means adjusting the Depth Control. And the portrait lighting comes with five effects for giving amazing and vibrantly looking shots. The effects consist of Natural, Studio, Contour, Stage, and Stage Mono. And now both the rear cameras come with Dual optical image stabilization, with the help of the six-element lens. Panorama is supported up to 63MP. And yes, the option for Live Photos is also there. When it comes to the front lens then the phone has a TrueDepth camera of 7MP (f/2.2 aperture). It also has got the feature of adjusting the depth control and bokeh, while taking a portrait shot. There is also portrait lighting on the front camera too with the five effects, mentioned above. ‘Animoji’, ‘Memoji’, and ‘Live Photos’ features are also supported. Coming onto the video recording and shooting extremely vivid moments, then iPhone is the best and stands tall. The XS Max takes it on a whole new level by enabling 4K video recording at an unbelievable 60fps! Along with that it can also shoot 4K at 24fps and 30fps. Full HD (1080p) videos can be recorded at 30 or 60fps, and 720p videos at 30fps. Videos also have OIS. Slo-Mo can be shot in 1080p at 120fps or 240fps. Coming to the front camera’s video recording then the 7MP lens can shoot 1080p at 30fps or 60fps. In both the front and back cameras, the smart HDR also plays a big role while also recording videos. 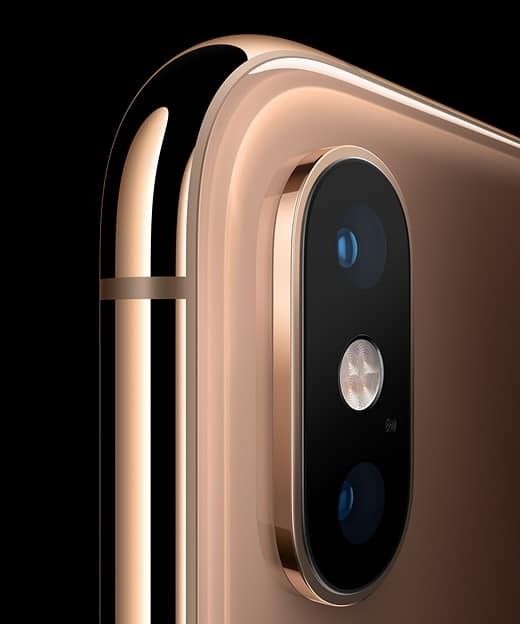 Security is always the priority for Apple iPhones, and the XS Max gives you a fine protection with its trusted Face ID feature in the front camera, enabled by 3D imaging technology. Yes, there is no fingerprint sensor now, but it won’t be missed at all. There was an issue of ‘beauty-gate’ in the front camera of the iPhone XS Max (and other iPhone also, including last year’s iPhone X) which made the skin look smoother rather than giving detailed, real picture of one’s face. And thankfully, that issue has now been resolved by the introduction of an upgrade in the form of iOS 12.1, in not only the XS Max but in other iPhone models too. Yes, it’s true that no smartphone is the greatest in terms of every major department or function, but the new iPhone XS Max gives you the ultimate power of a beast which cannot be matched even by an upgraded Android flagship processor (an obvious reference to the Snapdragon 845 chipset here). And also the cameras too are a treat to use on this one (the dual cameras specifically), with the video recording experience being immensely great. Overall, it’s really a stellar, faster phone with an incredibly great camera, but with an extended price tag! And I guess, that’s just not justified. Yes, it offers so much, coming with premium design elements, but the rivals are also doing that simultaneously, and still keeping the prices aggressive. So, had it been just a bit less asking for this phone, it would have been so great! Talking just about the Indian models, since it’s now arrived in the country, then the iPhone XS Max is available online via Amazon and Flipkart. But in India, only its two storage variants are available as of now. The 512GB model is getting out of stock quickly, so it’s not usually there in the stocks. Maybe it will be there now if you check. On Flipkart, the 64GB model is available for Rs.1,09,900 (without any discounted price), but after discount, it comes at Rs.1,04,900. While the 256GB variant is available for Rs.1,24,900 (without any discounted price), and after discount, it comes at Rs.1,14,900. The 512GB variant is out of stock on the portal at the moment, and costs around Rs.1,44,900 (without discounted price), and after discount, it comes at Rs.1,34,900. On Amazon too, the prices are kind of similar but slightly increased. The 64GB model is available for Rs.1,09,900 (without any discount), but after discount, it comes at Rs.1,04,999. And the 256GB model is available for Rs.1,24,900 (without any discount), but after a discounted price, it comes at Rs.1,19,999. If you want to go for the 512GB model, then its there on Amazon for Rs.1,44,900 (without discount), and after discount, it comes at Rs.1,34,900, same as Flipkart’s price tag. The color options available are Gold, Space Grey, and Silver. Pingback: Google Pixel 3XL Review: Best smartphone camera now comes with a revolutionary feature!